Democrats were a no-show, then an angry Senate president accused the Republican governor of breaking with protocol. WASHINGTON — Maryland Gov. 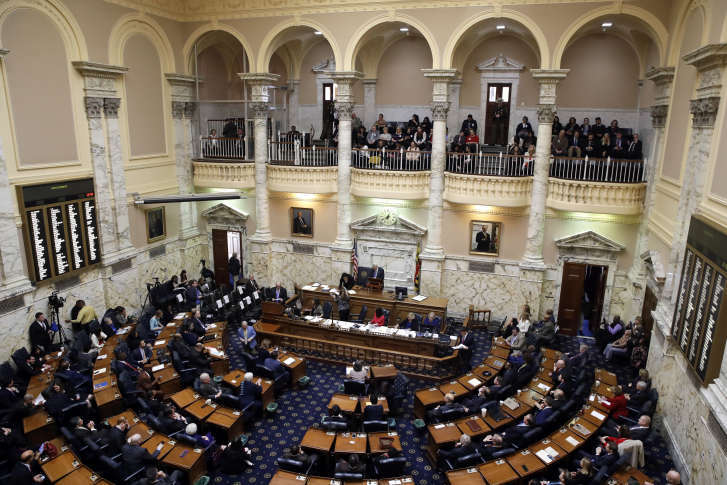 Larry Hogan expected to brief House and Senate leaders on his budget for the next fiscal year, but Wednesday’s breakfast date was broken when Democrats were a no-show. And later in the day, an angry state Senate president accused the governor of breaking with protocol. On the Senate floor, Sen. J.B. Jennings, the minority leader, said he was disappointed that the Democratic leadership — including Senate President Mike Miller and House Speaker Mike Busch — skipped out on the breakfast. Jennings asked what was indefensible about his observation, and Miller explained that the governor had broken with protocol. Miller insisted that, in the past, governors invited members of both parties for the breakfast. She added that the governor’s team looks forward to working with lawmakers on both sides of the aisle. Hogan briefed reporters on budget priorities Tuesday. He released the budget briefing books, with details on the $44 billion budget, Wednesday after holding the breakfast meeting.